Statues of Christopher Columbus, thanks to whom Europeans discovered and colonized the Americas, were vandalized in Illinois, Rhode Island and in three cities in Connecticut on the national holiday dedicated to his memory. 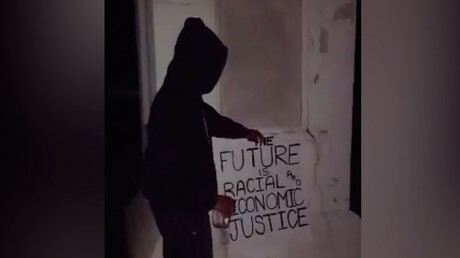 The Columbus statue in Chicago’s Arrigo Park was splattered with red paint, and words “mass murderer” and “decolonise” were spray-painted on the sidewalk next to the monument. No one was in custody for the act of vandalism on Monday, CBS reported. The same statue had been vandalized on Saturday as well. A witness saw three men defacing the statue and confronted them, according to local police. One of them fell off the bike when trying to escape. The witness detained him until police arrived. Kyle Miskell, 30, was charged with felony counts of criminal damage to government property, and criminal defacement of property. 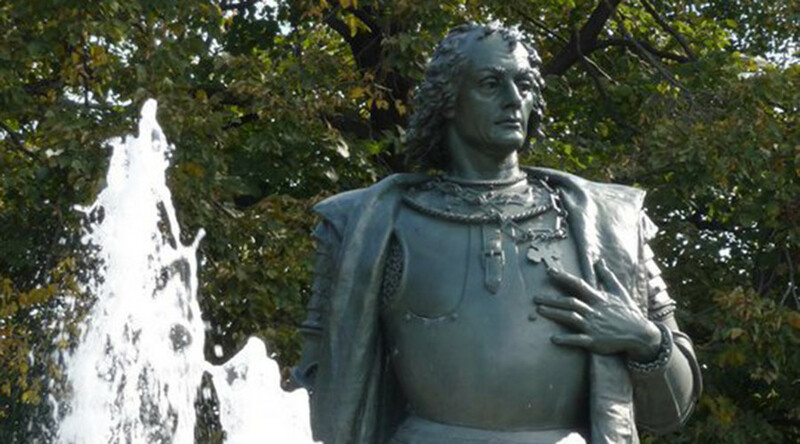 Police departments of three cities in Connecticut ‒ Middletown, New Haven and Norwalk ‒ said Monday they were investigating vandalism perpetrated against their Columbus statues. Someone wrote “kill the colonizer” with red paint on the 15-century explorer’s memorial in Middletown, NBC reported citing the police. The monument to Columbus in Providence, Rhode Island was also splattered with red paint, local media reported. Over the past several months, there have also been attacks on Columbus statues in New York and Baltimore, Maryland. The 225-year-old statue in Baltimore is said to be the oldest in the country, and possibly even in the world, dedicated to Columbus that is still standing. Attacks on monuments across the US have intensified since a protest against the removal of the memorial to Confederate General Robert E. Lee in Charlottesville, Virginia turned violent in August. Many US cities have since removed monuments to those who fought against the Union during the American Civil War, but in some places people took the matter in their own hands. In Durham, North Carolina eight people were charged in August with felony counts over the toppling of a Confederate soldier statue. However, the targeting of memorials across the country was not confined to Confederate symbols. The statue of Abraham Lincoln, who led the fight against the South, was defaced in his home city of Chicago in August. Christopher Columbus landed in America 525 years ago - over three and a half centuries before the civil war. Critics have accused the Italian-born explorer of enslaving and killing the native populations when he first arrived in the Caribbean from Spain in 1492. The date of his landing, October 12, has been a federal US holiday since 1937. It was adjusted to second Monday in October in 1970. Since then, grassroots efforts by Native Americans have prompted many cities, including Denver, Phoenix, Seattle and Los Angeles to replace the Columbus Day celebrations with an Indigenous Peoples’ Day. New York Mayor Bill de Blasio recently announced he was forming a panel to review all possible “symbols of hate on city property,” including Columbus. Italian-American groups have protested the inclusion of Columbus on that list.